I’m interested in buying a vintage pen, but I want a pen with the easiest filling system to use and take care of. What would you recommend? The eye dropper filling system was the first found on fountain pens. 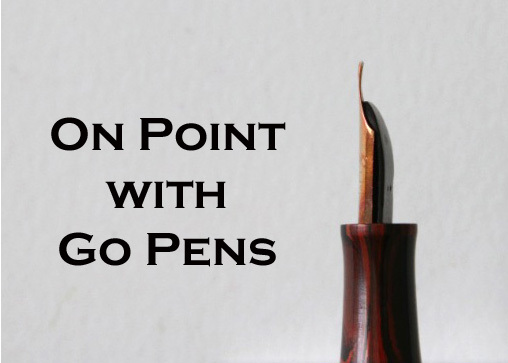 They are easy to use in that they are easy to fill – you simply fill the barrel with ink and screw it closed, and they are easy to clean – open the barrel up and flush the inside along with the nib, feed, and section. They are not always the most convenient for portability because there is the chance ink can ”burp” from the feed. Lever-fillers and vacuum-fillers require more maintenance and care, because if your ink dries out in them, they are more difficult to flush properly. In addition, the sacs and diaphragms eventually need replacing. An aerometric filler is something else to consider – they are relatively easy to clean, and they are easy to fill. They are also less likely to burp ink compared to an eyedropper filler. Best wishes on your vintage pen journey – you probably won’t stop at just one filling system!